Grab announced not just one but two major partnerships in the past few days, just before the launching of Indonesian rival ride-hailing app Go-Jek in Singapore, which is expected to occur later this month. DBS Group Holdings’ chief executive officer said fears about the impact of the United States-China trade war are “somewhat overblown” for now as the flow of goods and services remains largely intact. Companies which buyback their shares could signal to the market that their shares are undervalued. Last month, 29 companies repurchased 30.8 million shares or units for a total amount of S$59.9 million, according to a report released by the Singapore Exchange Limited (SGX: S68) recently. Vessel operations planning software OceanManager is opening an office in Singapore to expand its business in Asia – Pacific. Singapore Post Limited (SingPost) has launched its SmartPost suite of postal solutions and unveiled its latest next-generation logistics platform LaMP which is touted to bring greater convenience, flexibility and control to customers today and of the future on Monday (5 November). FEAR and distrust are often initial reactions to new technology like artificial intelligence (AI), since the less we know about something, the more mysterious and dangerous it seems. SCIENCE isn’t fun – at least, not the way it’s taught in school, says Rosemary Tan, founder and CEO of local biotech firm Veredus Laboratories. Asian markets mostly rose yesterday as focus turned to the US midterm elections, which could impact Mr Donald Trump’s presidency, while Apple suppliers suffered on reports the tech titan had cancelled plans to ramp up output of its new iPhone. His Facebook post last month on a beautiful Jambu Fruit Dove that slammed into the glass window of a school computer laboratory went viral, but Mr Jacob Tan did not stop there. After months of anticipation, Indonesian ride-hailing platform GO-JEK has launched a pre-registration portal for people interested in becoming its driver-partners. Over the coming weeks, interested drivers who provide their contact details will receive notifications from GO-JEK with information on how to apply to join its Singapore platform when the company launches its services here. The series shows off the very best of Singapore, launching with three videos covering the best places to eat, shop and party in the vibrant, multi-cultural state. Singapore-based community cryptocurrency exchange, Cryptology Exchange today announced the revampment of its brand logo. On Tuesday December 4, 2018, the Institute of Materials Research and Engineering (IMRE) at the Agency for Science, Technology and Research (A*STAR) will host the final of this year’s AM30 Symposia celebrating the 30th anniversary of Advanced Materials, organized in collaboration with Nanyang Technological University (NTU), National University of Singapore (NUS), and the Advanced Materials editorial team. Ride-hailing company Grab has made tweaks to the algorithm for GrabShare, its carpooling service. A 51-year-old domestic helper in Singapore has been sacked after she allegedly instigated her 88-year-old employer, Huang, to sell his three-room-flat, Lianhe Wanbao reported on Oct. 29, 2018. 2 in 5 think that China’s growing consumer wealth could unveil opportunities. Motorists heading to the area around Suntec Singapore International Convention and Exhibition Centre from Sunday (Nov 11) to next Friday should expect traffic delays due to road closures for the 33rd Asean Summit and related summits. The 33rd ASEAN Summit and related summits, which are to be held at Suntec Singapore International Convention and Exhibition Centre (Suntec) from 13 to 15 November 2018, have been declared as an ‘Enhanced Security Special Event’ under the Public Order Act. Cutting the work computers of SingHealth employees from the Internet has caused “multiple difficulties and inconveniences” and led to “some loss of productivity”, its group chief executive officer Ivy Ng said. Bicycle-sharing firm Ofo is the first company to be penalised for not rightsizing its fleet to the 10,000 bikes it is allowed under the new licensing requirements, which came into effect on Nov 1. Ms Renuka Ramanadhan, 20, a Singaporean undergraduate at the University at Buffalo (UB), is in critical condition after the hit-and-run accident in Buffalo, a city about 470km west of New York City, last week. 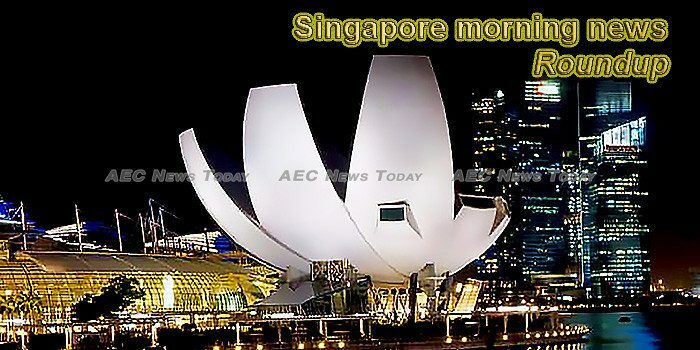 This week’s Singapore morning news feature photo acknowledges World Science Day for Peace and Development, November 10.